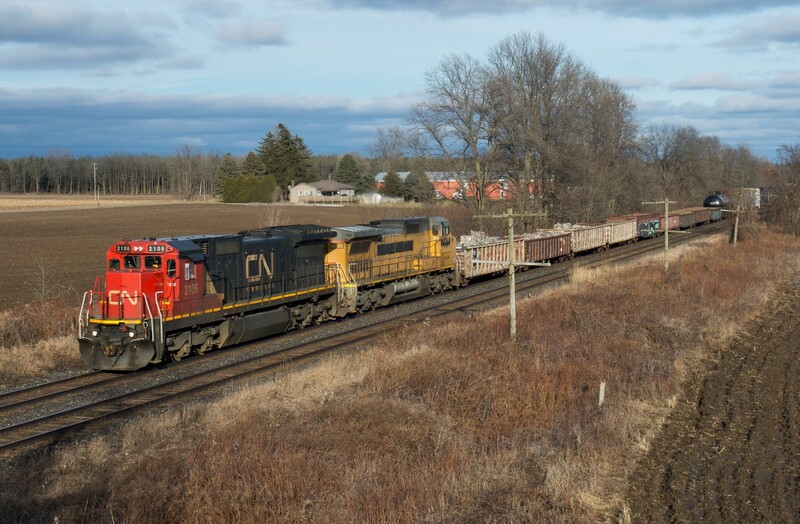 Railpictures.ca - Joseph Bishop Photo: CN 331 blasts by Blenheim Road between Paris and Princeton with a pair of dash 8 variants. Today featured CN 2106 and GECX 9124. Next up in my lens was CN 385 at Paris West…but that shot is for another day. | Railpictures.ca – Canadian Railway Photography – photographie ferroviaire Canadienne. Caption: CN 331 blasts by Blenheim Road between Paris and Princeton with a pair of dash 8 variants. Today featured CN 2106 and GECX 9124. Next up in my lens was CN 385 at Paris West...but that shot is for another day.